People say to me, 'Why don't you give it up?' ...I don't want to miss anything. Some years you get bad luck. Some years you make some mistakes. Some years kids show up and they're not as good as we think they're gonna be. I don't know how else to say it. An element of the job that I loved has been taken away from me. I'm not going to get carried away with one win. I'm pleased, but this isn't the end of the road. I'm not sure they believed me, but they didn't fire me. I knew we needed to go out and get players who could scare people. I'm proud of them. I don't know what to say. I'm proud of them, but I'm disappointed for them. Lots of things have passed me by, but coaching isn't one of them. New Updates! (4/22/2019) We've been working really hard on completing our membership system so you can submit quotes and keep track of them. Once this is complete in the coming weeks there will be a lot more quotes by Joe Paterno and other authors. 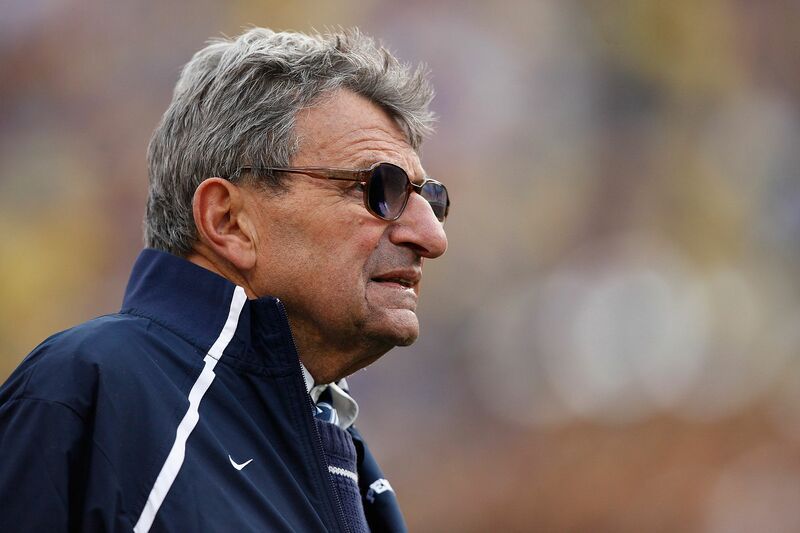 We've also changed the sorting on the site so you now see the latest Joe Paterno quotes first. Our goal is to have the best Joe Paterno quotes on the web!